Copies available at £15 plus postage/packing VAT. Children whose reading problems are diagnosed as dyslexic get special help at school and college, including extra time to take examinations, free laptops and tape recorders. 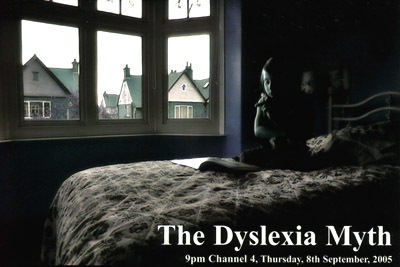 Yet 'The Dyslexia Myth' for Channel 4's Dispatches showed that there is now overwhelming evidence that the common understanding of dyslexia is a myth - a myth that hides the scale and the scandal of true reading disability.